In my previous articles we built a tab control using Plain Old Semantic HTML with unobtrusive CSS styling. This is the final article in a three-part series that illustrates how to build a simple tabbed box using progressive enhancement techniques. Note: adding new properties or methods to native objects is a little risky, but that’s a topic for another article. Finally, jQuery aficionados will know that tabs are already supported in the UI API and many other pre-built controls are available. Most will be better than this example — the code is purposely kept short to demonstrate progressive enhancement techniques. 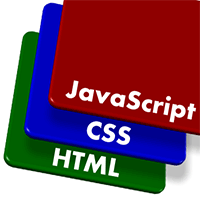 The plugin will therefore apply a class of “active” to the outer content div when the tab box is initialized. (this.) Active property stores the currently highlighted tab. A class of “active” is added to the content’s container (the div with the class “tabcontent”). This will remove the scroll bars, as described above. A click event handler is applied to all links that reference the tab content, including the tab itself (see the TabSwitch method below). All tabs and content are made inactive (see the Activate method below). The currently active tab is determined. This will normally be the first tab unless another ID is specified in the page URL. The TabSwitch method is called when a tab (or any link pointing at the tab’s content) is clicked. It stops the browser’s default action, deactivates the old tab, and reactivates the new one. The final few lines smoothly scroll the page to the tab box if it’s off the screen when a link to tabbed content is clicked. The link jumped to the content location in normal HTML, but our code has cancelled that event and replaced it with a nicer effect.